Digging Dirt - Family Times is an award-winning magazine with staff-written news, feature stories and artwork that inform and inspire Central New York parents and their children. There’s so much more to gardening than seeds, soil and water, and for children, the rewards go beyond flowers, fruits and vegetables. Horticulture encompasses the sciences, social studies, math and so many other subjects as it inspires youngsters to learn about teamwork and bond with a community, including their own families. Researchers have even found that gardening releases a chemical in the brain that makes you happier and smarter. 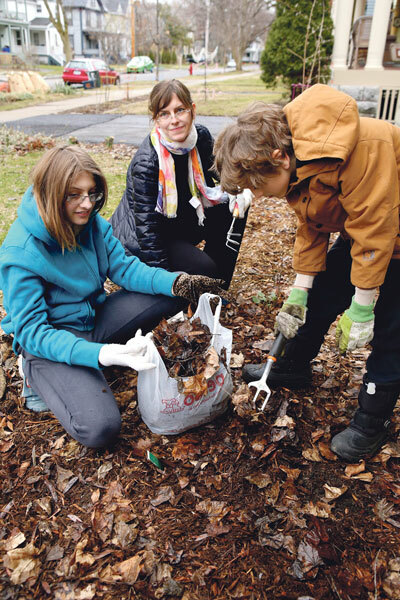 With the increasing popularity of urban gardening, organic products and buy-local campaigns, potential gardeners don’t have to go far to find plots where people of all ages are invited to get dirty. The city of Syracuse boasts more than 20 community gardens and educational programs that introduce children to horticulture. Some of them, including the West Newell Street Community Garden, have existed for decades. Mable Wilson, co-founder of Syracuse Grows and an organizer of the West Newell Street garden, says in addition to all the benefits gardening brings to children, these programs also help families in financially strapped neighborhoods save money. Many folks don’t have transportation to get to the Central New York Regional Market or suburban supermarkets, and the nearby corner stores don’t offer high-quality produce. Moreover, growing vegetables like mustard greens and collard greens allows African-American and Latino children to learn about their heritage. “These are recipes that we want our kids to keep, and pass down to their kids,” Wilson says. Her own grandchildren were involved with the West Newell Street garden when they were little. Last summer, there were kids from 9 months old to 20 years old cultivating vegetables alongside adults of all ages. The organization also hosted summer barbecues and coordinated fishing trips and bird-watching outings. Another community garden in the south end of the city, at Jubilee Homes, was established six years ago. The operation is totally organic, with no chemicals or pesticides allowed. Community garden organizers and Cornell Cooperative Extension staffers also coordinate visits to local farms so the participating children can learn about agriculture on a larger scale. Desaree Dixie, Jubilee’s housing director, says it’s a thrill to see the children’s eyes light up when they see the fruits of their labor. Dixie’s 9-year-old son, Jaylen, has been gardening for three years and has become very knowledgeable, to the point where he is instructing some adults in proper cultivation techniques. He is currently learning how to pickle vegetables, aspires to make an appearance on the Food Network’s Chopped Junior show, and is recruiting classmates to join the community garden this spring, his mother says. Gardening is an excellent tool to teach younger children colors, dimensions, biodiversity and problem solving, says Alice Honig, Ph.D., a pediatric psychologist and professor emerita at Syracuse University. Planting a bulb in the autumn is an excellent activity for a 2-year-old, as that’s the age when children seek more control over objects and situations. It’s also a way to teach tantrum-prone children how to be gentle and kind, as a plant’s survival requires care and delicate handling. 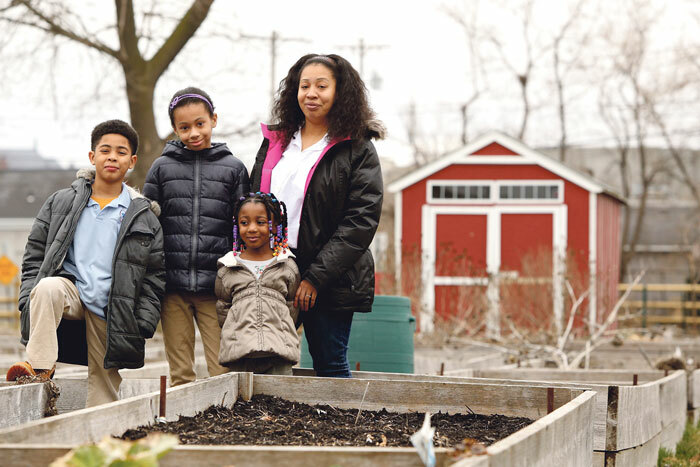 Evan Weissman, an assistant professor of food studies at Syracuse University and a founding member of Syracuse Grows, has a garden in his backyard and, with the help of his three young children, maintains a plot at the Westcott Community Garden just down the street from their house. The Syracuse native spent his summers picking peas, tomatoes, peppers and carrots in his backyard and helping his father and uncles run a wholesale nursery business in New Jersey. Weissman is also quick to point out that Central New York, despite its reputation for long, cold winters, is an excellent region for gardening. The soil quality here is outstanding, and the growing seasons are still long enough and temperate enough for a rich diversity of fruits and vegetables. The abundance and affordability of property is also a plus. Weissman’s children especially enjoy watering the plants and selecting which pickings should go in the compost bin. They have planted seedlings and made “living necklaces” where they can observe plant germination and use the warmth from their body to help it grow. “Never underestimate the capacity of even our youngest children’s ability to understand the world around them,” Weissman says. Buckvold, the arts teacher and gardener, says her children immediately took an interest in gardening when they were introduced to it five years ago. They yanked out carrots to see what the vegetables would look like from top to bottom, and picked and ate raspberries on the spot. Aside from providing a living classroom on the sciences, the family garden also serves as a sanctuary of sorts for the children. On warm days they will sit next to it and read, or lie on the grass, look up at the clouds and listen to the birds. The Buckvolds enjoy gardening activities year-round, planting seeds in a fish tank during the snowy months and maintaining a worm and compost bin in the basement. After Christmas they create an evergreen brush pile in the backyard. During early spring, they build birdhouses and bat boxes. Horticulture Magazine reported on a study in the United Kingdom that found a strain of bacterium in soil called mycobacterium vaccae triggers the human brain’s release of serotonin, which provides a sense of relaxation and well-being. The same bacterium has also been found to improve cognitive functions. 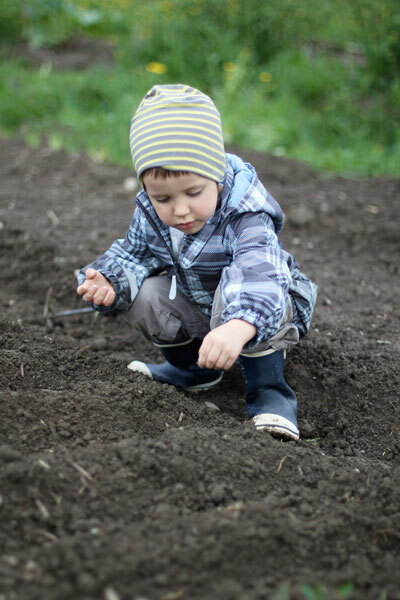 The article also elaborated on the joy of dirt, reporting that studies show any contact with soil, whether gardening, digging holes, or even making mud pies, significantly improves a child’s mood and reduces his or her anxiety and stress. Want to learn more about growing things in your backyard? Local organizations want to help you develop your green thumb. 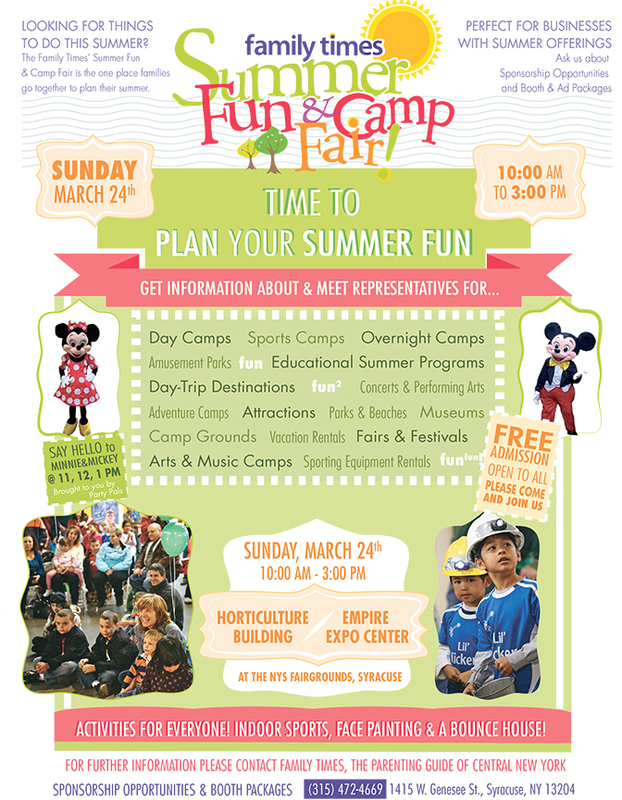 Learn about urban agriculture and community gardening. Cornell Cooperative Extension offers information about gardening, composting, nutrition and health. The Alchemical Nursery is devoted to sustainable urban lifestyles and landscapes.